Great Value in the much sought after community of KIMBERLY OAKS. Freshly painted and full of curb appeal, this home is READY FOR MOVE IN. 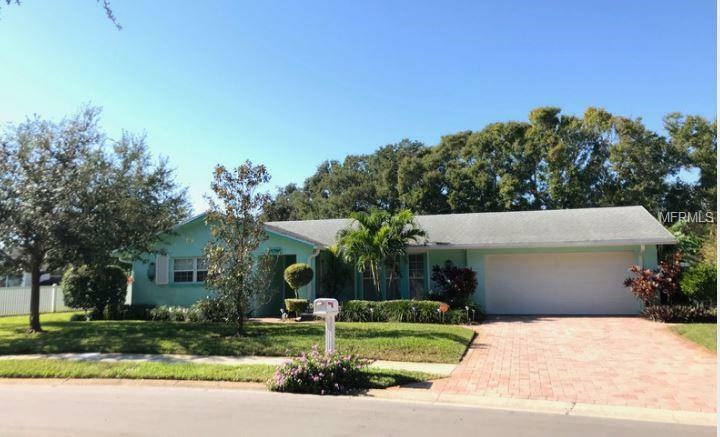 No HOA, No Flood, just 3.2 miles to IndianRocks Beach this home boasts 4 bedrooms, 2 - 1/2 baths, plus a family room with wood burning fireplace. Sliding doors lead to the enclosed paved lanai with solar heated swimming pool. Don't forget to look at the built spice rack pantry. Fully fenced (less than 3 years old) and it has the following upgrades completed: Roof 3 yrs old, flat roof and chimney upgraded less than 30 days ago, pool refinished 3 months ago, A/C 8 years young, above required insualtion in attic, exterior doors and garage doors all hurricane rated along with hurricane awnings on windows. Master bedroom has hurricane / emergency exit screen. Kitchen appliances are all under 1.5 years old, security system (VIVANT). CAll us for your private showing today!